Turkish Justice Minister Bekir Bozdağ on Saturday said 149,833 people have been investigated and 48,636 have been jailed as part of an investigation targeting the Gülen movement since a July 15 coup attempt in Turkey. Providing recent figures about a purge that the government has been conducting against Gülen movement sympathizers, Bozdağ said 149,833 people have been investigated since the July 15 coup attempt. “A total of 166 generals, 6,810 officers of varying ranks and 8,677 police officers were among those arrested,” Bozdağ said, speaking to party members in Yozgat. 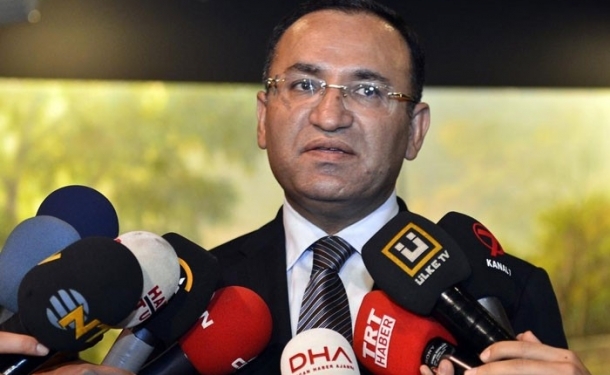 Bozdağ added that 35,783 people were released on judicial probation and that 6,791, including 139 soldiers and 364 police officers, are still at large. Contrary to accusations made by President Erdoğan and the Turkish government, the Foreign Affairs Committee of the UK Parliament concluded in March that Gülen and the movement he inspired as a whole were not behind the failed coup in Turkey. The UK Parliament statement came a week after Germany rejected Erdoğan and the Turkish government’s accusations against the Gülen movement about July 15. The head of Germany’s Federal Intelligence Service (BND), Bruno Kahl, said Turkey could not convince them that US-based Turkish-Islamic scholar Gülen was behind the failed coup in July. Similarly, Devin Nunes, chairman of United States House Permanent Select Committee on Intelligence, said he has not seen any evidence showing Gülen’s involvement in the putsch in Turkey. In February, Henri Barkey, director of the Middle East Program at the Washington-based Wilson Center, said that many generals purged by the Turkish government are pro-NATO and pro-American, saying this could create a shift in Turkey-NATO relations.